Students and faculty can retrieve, process, and analyze real-time economic and financial data. 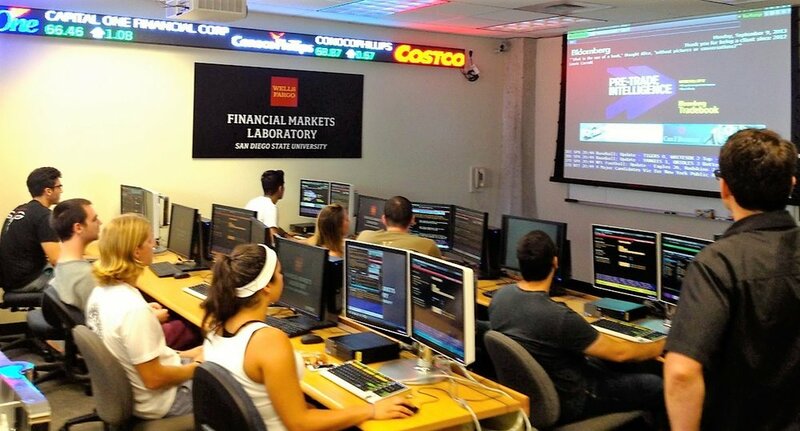 Proficiency with a Bloomberg terminal is a highly sought-after skill for financial employers. To ensure competitiveness in the current (and future!) job market, stop by the lab in Love Library (Room 261) and earn your BMC! The lab is open to both Undergrad and Graduate students with a current SDSU Red ID number.